Foxtel TV, fully self-contained air conditioning, easy walking distance to beach, restaurants, Pacific Fair, Casino and Convention Centre. Rates are for 2 people Extra adults AU$25.00. Extra children AU$25.00. The room caters for a maximum of 2 adults, and a maximum of 2 children but cannot exceed 4 guests in total. Sofa bed linen fee $15 payable direct- PLEASE REQUEST. 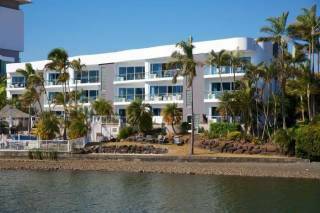 Foxtel TV, fully self-contained air conditioning, easy walking distance to beach, restaurants, Pacific Fair, Casino and Convention Centre. Rates are for 2 people Extra adults AU$25.00. Extra children AU$25.00. The room caters for a maximum of 5 adults, and a maximum of 3 children but cannot exceed 6 guests in total. Sofa bed linen fee $15 payable direct- PLEASE REQUEST. Looking to relax and get away from it all? Holiday to your heart's content at Island Beach Resort. 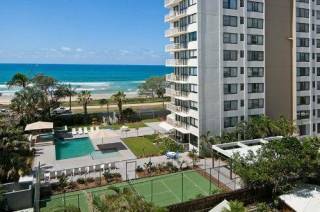 Island Beach Resort provides Broadbeach holiday apartments only a block away from the famous beaches of the Gold Coast. 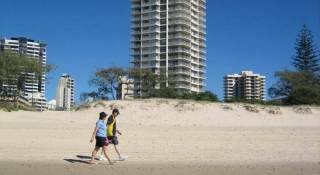 Nestled in the heart of Broadbeach, our Gold Coast family apartments are also a relaxed stroll to world-class restaurants so you can enjoy the wondrous food of Broadbeach. 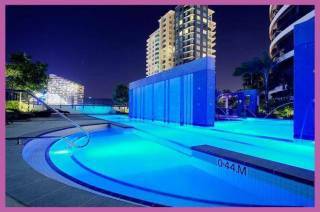 Moreover, it provides easy access to Broadbeach attractions like the Gold Coast Convention Centre, Conrad Jupiters Casino and Pacific Fair while being just far enough where you can avoid the hustle and bustle of this top tourist destination, and enjoy the most restful vacation. The one and two bedroom apartments are spectacularly furnished in Santa Fe style, with a superb design and superior finish. Each apartment features balconies and a select few boast private rooftop sun decks as well. 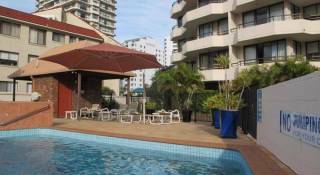 Within our elegant yet affordable Gold Coast acommodation are tropical gardens, entertaining and BBQ areas, gazebo, and a resort-style spa pool. Cancellation policy: No Cancellations or Changes Cancellations or changes to bookings for this room will not be permitted for any reason. Once confirmed a booking cannot be refunded or altered in any way. Office hours are 8am to 7pm. If arriving outside of these hours, please contact reception prior to your arrival.